Organizations that use benchmarking to monitor and respond to changes in sawmilling technology and mill productivity are inherently advantaged within their markets. These organizations remain agile and are able to quickly adapt to changing market signals because they are constantly setting goals, analyzing performance, measuring results and making necessary changes. Due to its dependence on US housing starts, the North American lumber market is notoriously volatile; southern yellow pine (SYP) lumber prices just six months ago were nearly 50% higher than they were at the same time during the previous year. Competing in this space demands close attention to detail and an ability to quickly adapt to market changes. 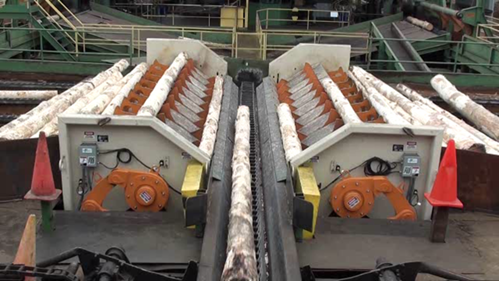 The US South offers the modern sawmilling industry a number of operating advantages, which is a primary reason that the area has become a popular destination for North American forest products company expansions. The southeast provides access to plentiful, competitively-priced southern yellow pine logs, deep labor pools, convenient transportation routes and port facilities, and cost-effective haul distances. As regional growth and competition surge over the next decade, the sawmill organizations that keep pace with technological advances will better be able to outlast any dips in the housing market. To better compete, southern sawmills—existing mills with planned expansions, as well as greenfield projects—are actively adopting new technologies that lead to more production with less labor. Increased automation will become the new norm. This means that modern mill facilities will rely on lean er staffing while at the same time increasing production through technology. These mills will depend on fewer operators, some of which will be responsible for controlling multiple machine centers. Additionally, faster machine speeds will allow them to produce more volume per operating hour and per staff hour. In 2012, the average SYP mill produced about 125 million board feet (MMBF) and employed 130 people. One recent greenfield SYP mill announcement projected a capacity of 250 MMBF with only 100 employees, which means that annual production will double and manpower will decrease by 30% when compared to an older mill facility. Such statistics represent a major shift in the southern sawmilling industry in a relatively short period of time. Despite the trend that is being driven by technology toward lower staffing at SYP sawmills, the addition of greenfield sawmills means the US South will also need to add new employees as those mills begin production. The Beck Group estimates that between 2017 and 2022, SYP lumber mills will add more than 2,000 staff members in the areas of operations, maintenance, management and support. 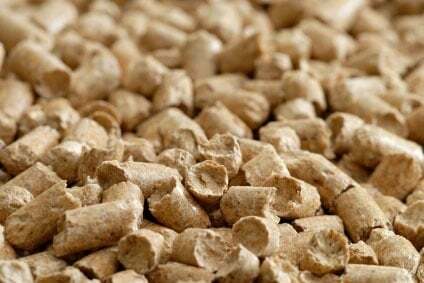 Additionally, many more foresters, loggers, truck drivers and others will be needed to augment a supply chain that will be forced to grow to support these highly-productive, technology-driven mill facilities. The future needn’t be frightening for a wood products industry that has been around for hundreds of years; lumber demand is here to stay. But those sawmills that monitor technology and staffing changes through benchmarking services can take advantage of the latest advances driving automation, efficiency and analytics, and they will be well-positioned in the global lumber trade as a result.